Summer heat can take a toll on your horse. The heat, humidity, and bugs are hard to escape during the summer months. Dehydration is a common ailment as well as lethargy in horses. Undue stress from summer heat can cause colic and diarrhea. The good news is that there are some things you can do to protect your horses. 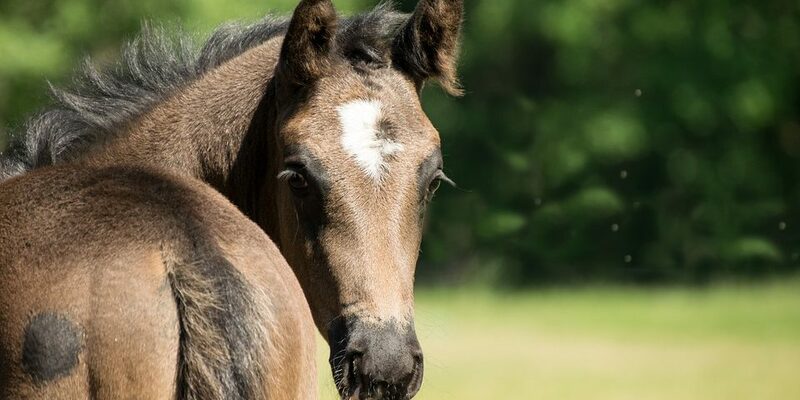 Incorporating a few or all of these helpful tips into your horses’ summer routine can help them stay healthy all season long. Shade – Providing your outdoor horses with shade, especially during the summer, gives them refuge whenever needed. A shed structure is a great option, but shady trees can also do the trick. Planting and maintaining tall shade trees throughout your property will allow them opportunities to cool off. Water – Offering plenty of cool water every day is necessary for the health of every horse. In the summer, horses sweat more, and their bodies need to replace that water. Be sure to have cool water available. Water left in the sun will quickly become warm and won’t help cool their body temperatures. Adding frozen water jugs can keep water cooler. Placing water troughs in shady areas is also wise. You may consider adding small amounts of electrolytes to one water source but be sure to have fresh water available as well. Fans – Adding fans to your barn area may help cool things off. Simply moving the air has a cooling effect your horses will appreciate. Fans also help discourage flies and bugs. Just be sure to keep fans and cords away from the horses. Change of Plans – During the summer months, changing your horses’ turn-out times can help with extreme heat. Early morning or late evening grazing can be significantly cooler. If you have separate pastures, use the one with the most shade options during the heat of the day. Keep in mind that your pasture grass may suffer in the summer and additional feed may be necessary. In addition to keeping your horse cool over the summer months, be aware that some horses are prone to sunburn. White horses, in particular, can quickly burn but so can horses with white socks and blazes and those with pink noses. Keeping them out of direct sun rays is the best way to avoid sunburns, but if necessary, a fly scrim can give them a good layer of protection. Take care of your horse this summer, and he’ll be ready for fun rides and adventures. Horses, just like humans are affected by extreme heat. Keep them cool and enjoy the lazy days of summer together.